Our Teaching from Torah, The Law of Moses will continue from Deuteronomy 14.22-29. AND THE TITLE OF OUR MESSAGE IS, TITHING AND THE FEAR OF GOD. And with that said, let’s read Deuteronomy 14.22-29. To summarize Deuteronomy 14.22-29, The Bible says, You shall tithe all the increase of your seed that the field brings forth year by year. The word TITHE, as you know, is a tenth. The word INCREASE, as in, All the INCREASE of your seed, means, INCOME. Income is the money that The People received for selling their crops. Their seed are the crops that were brought forth year by year. Simply said, GOD Commands The Jewish People to tithe a tenth of their income that they received from selling their crops every year. Jewish People were primarily agricultural people. They were mostly farmers. Those people who were not farmers, I assume were Commanded to tithe ten percent of their income from their businesses, or salaries, or from the goods they sold, or their investments, or services they rendered, or from the work they performed. And with those tithes, The LORD Commanded them to eat before The LORD Their GOD in the Place that The LORD GOD chose to put His Name there. That Place was The Temple in Jerusalem. The People ate the tithe of their corn, their wine, their oil, the firstborn of their herds and their flocks, that they were to learn to Fear The LORD Your GOD always. For those who were not farmers, I presume that they used their tithe money to purchase food in order to follow The Commandment of GOD to eat at The Temple in Jerusalem. We know that Abraham, who was called Abram at the time, gave Melchizedek tithes of all. Those tithes were ten percent of all the goods that Abram took from his enemies who stole his nephew Lot and his family. Melchizedek was King of Salem, and Priest of The Most High GOD. Salem was perhaps Jerusalem. So Jerusalem goes back at least 4,000 years. I WOULD LIKE TO MAKE A POINT HERE ASIDE FROM TITHING. The Book of Hebrews states that Melchizedek is without father or mother, without descent. That is, Melchizedek has no trace of birth, having neither beginning of days nor end of life, but is like The Son of GOD, The Messiah Yeshua. THEREFORE THE WRITER OF HEBREWS CLEARLY STATES THAT MELCHIZEDEK IS GOD ALMIGHTY WHO IS ALSO THE SON OF GOD, YESHUA THE MESSIAH, KING OF SALEM, PRIEST OF THE MOST HIGH GOD, THE CREATOR OF THE HEAVENS AND THE EARTH AND ALL THAT IS IN THEM. ALL BEING ONE AND THE SAME GOD. GOD ALMIGHTY, HA SHEM ELOHIM, YESHUA THE MESSIAH. THE POINT I’M MAKING IS, THERE IS ONLY ONE GOD AND NO OTHERS, GOD ALMIGHTY THE FATHER WHO IS YESHUA THE MESSIAH. AND HE IS MELCHIZEDEK. All the tithes of The Land are Holy unto The LORD. And GOD gave all the tithes He received to The Levites for their inheritance for their service of the Tabernacle because the Levites have no inheritance in the Land as the other tribes that inherited land in The Land of Israel. And from the tithes that The Levites received, they were Commanded to give a tenth part of their tithe to Aaron The Priest. And in later generations those tithes of The Levites went to the Priests in the Priesthood. DEUTERONOMY 14.24-25 If the way to The Temple was too far for The People, they were to turn their tithes of corn, etc. into money and go to The Temple and apply that money for whatsoever they desired to eat and drink. Such as oxen, sheep, or wine, or strong drink, or for whatever they so desired. And they ate and drank before The LORD Their GOD, and they rejoiced, they and all their household. And The Levites who lived among The People in their towns were not to be forgotten. They too were to eat and drink before The LORD Their GOD. For GOD said, They have no territory or inheritance with you. Every third year, the tithe was shifted away from The Temple to focus on the needs of the Levites, the stranger, that is the non-Jewish Person, and the fatherless and the widow that live in their cities. GOD says, They shall come and shall eat and be satisfied that The LORD Your GOD will bless you in all the work of your hand which you do. YOU SHALL LEARN TO FEAR THE LORD YOUR GOD ALWAYS. LET’S LOOK AT DEUTERONOMY 14.23 THAT TEACHES US TO LEARN TO FEAR THE LORD YOUR GOD ALWAYS. SO I HAD TO THINK TO MYSELF, WHAT DOES TITHING HAVE TO DO WITH FEARING THE LORD? AND AFTER LOOKING AT A NUMBER OF SCRIPTURES ABOUT FEARING THE LORD OUR GOD, I CAME TO REALIZE THAT FEARING GOD IS A COMMANDMENT OF GOD. FEARING GOD IS LAW. YES, GOD COMMANDS US TO FEAR HIM ALWAYS. THE HEBREW WORD FOR FEAR AS IN, YOU SHALL LEARN TO FEAR THE LORD YOUR GOD ALWAYS, IS YEER’AH THAT MEANS, TO REVERE GOD, TO BE FRIGHTENED AND AFRAID OF GOD, EVEN WITH DREADFUL AND FEARFUL FRIGHT. WHEN YOU FEAR GOD YOU OBEY GOD. YOU OBEY EVERY WORD GOD SPEAKS IN THE BIBLE. YOU LEARN TO WALK IN THE WAYS OF GOD, AND LOVE GOD, AND SERVE THE LORD YOUR GOD WITH ALL YOUR HEART AND WITH ALL YOUR SOUL. AND YOU KEEP THE COMMANDMENTS AND THE STATUTES OF THE LORD THAT ARE ALL HIS LAWS WRITTEN IN THE LAW OF MOSES IN THE FIRST FIVE BOOKS OF THE BIBLE. MESSIAH SAYS, DO NOT FEAR THEM WHICH KILL THE BODY BUT ARE NOT ABLE TO KILL THE SOUL, BUT RATHER FEAR HIM (FEAR GOD ALMIGHTY) WHICH IS ABLE TO DESTROY BOTH SOUL AND BODY IN HELL. THE SOUL IS OUR LIFE THAT NEVER DIES. JOHN 11.26 WHEN YOU BELIEVE IN MESSIAH YESHUA, THE MESSIAH YESHUA OF THE BIBLE, YOU BELIEVE THAT MESSIAH YESHUA IS GOD ALMIGHTY THE FATHER. AND YOU OBEY EVERY WORD THAT GOD ALMIGHTY, THE FATHER, MESSIAH YESHUA SPEAKS IN THE BIBLE INCLUDING THE LAW OF MOSES. WISDOM, KNOWLEDGE AND UNDERSTANDING COME FROM FEARING THE LORD YOUR GOD, WALKING IN ALL HIS WAYS AS WRITTEN IN THE BIBLE. LOVING GOD, AND SERVING THE LORD YOUR GOD WITH ALL YOUR HEART AND WITH ALL YOUR SOUL. KEEPING THE COMMANDMENTS AND THE STATUTES OF THE LORD YOUR GOD THAT THE LORD COMMANDS YOU TO DO. WISDOM, KNOWLEDGE AND UNDERSTANDING IN THE SIGHT OF GOD COME FROM FEARING THE LORD YOUR GOD AND DOING WHAT HE SAYS. PHILIPPIANS 2.12 PAUL IS WRITING TO THOSE WHO OBEY GOD. THOSE WHO OBEY EVERY WORD GOD SPEAKS IN THE BIBLE INCLUDING THE LAW OF MOSES. PAUL WRITES, WORK OUT YOUR OWN SALVATION. SALVATION IS BEING DELIVERED FROM ALL YOUR SINS, AND HAVING ETERNAL LIFE IN HEAVEN BY LIVING ACCORDING TO EVERY WORD GOD SPEAKS IN THE BIBLE, AND HAVING MESSIAH YESHUA FOR YOUR ATONEMENT THAT RECONCILES YOU WITH GOD. PAUL WRITES, WORK OUT YOUR OWN SALVATION. WORK IS AN ACTION WORD OF DOING SOMETHING. AND THAT WORK THAT PAUL IS WRITING ABOUT IS BEING OBEDIENT TO GOD. BEING OBEDIENT TO EVERY WORD GOD SPEAKS IN THE BIBLE. THAT IS THE WORK PAUL IS TEACHING YOU. WORK OUT YOUR OWN SALVATION, PAUL WRITES, WITH FEAR AND TREMBLING. WORK OUT YOUR OWN SALVATION BY FEARING GOD AND TREMBLING. DOING WHAT GOD SAYS TO DO IN THE BIBLE. SALVATION TAKES WORK. PAUL SAYS SO RIGHT HERE. SALVATION REQUIRES WORK. AND THAT WORK IS OBEDIENCE TO EVERY WORD GOD SPEAKS IN THE BIBLE. AND HAVING ATONEMENT THAT BRINGS RECONCILIATION WITH GOD THROUGH FAITH IN MESSIAH YESHUA. THAT DESTROYS THE FALSE TEACHING OF THE FALSE BIBLE TEACHERS WHO TEACH THAT THE LAW OF MOSES IS ABOLISHED AND YOU DON’T HAVE TO OBEY IT. ROMANS 11.17-20 DO YOU WANT TO BE GRAFTED INTO THE JEWISH PEOPLE, THE CHOSEN OF GOD? THEN FEAR GOD, PAUL WRITES. WALK IN ALL HIS WAYS, LOVE THE LORD YOUR GOD WITH ALL YOUR HEART AND WITH ALL YOUR SOUL. AND KEEP THE COMMANDMENTS OF THE LORD, AND HIS STATUTES THAT ARE WRITTEN IN THE LAW OF MOSES FOR YOUR GOOD. THEN YOU WILL BE GRAFTED IN WITH GOD’S CHOSEN PEOPLE. 1 PETER 1.14-17 PETER WRITES, PASS THE TIME THAT YOU LIVE ON EARTH IN THE FEAR OF THE LORD. OBEY GOD. OBEY EVERY WORD GOD SPEAKS. 1 PETER 2.17 HONOR ALL. LOVE THE FAMILY OF GOD. FEAR GOD. HONOR THE KING. HERE IN THE UNITED STATES, HONOR THE PRESIDENT. THE NEW TESTAMENT TEACHES YOU HOW TO ENTER IN TO ETERNAL LIFE, IN THE 1,000 YEAR MESSIANIC KINGDOM IN ISRAEL, AND ETERNAL LIFE IN HEAVEN, BY FEARING GOD WITH GODLY FEAR. SO, WHAT IS THE DUTY OF ALL MANKIND? THE DUTY OF ALL MANKIND IS TO FEAR GOD AND KEEP HIS COMMANDMENTS. THAT IS THE GOSPEL FOR A GOOD AND HEALTHY LIFE ON EARTH, AND ETERNAL LIFE IN HEAVEN. FEAR GOD AND DO WHAT HE SAYS. Today is the first day of Sukkot, better known in the English speaking world as The Feast of Tabernacles. And our teaching will be from Leviticus 23.33-44 in Torah, The Law of Moses. AND THE TITLE OF OUR TEACHING IS, THE FEAST OF TABERNACLES AS TAUGHT IN THE BIBLE. LEVITICUS 23.33 When GOD spoke to Moses giving him Instructions for The Festivals of The LORD that Judaism calls The Jewish Holidays, GOD spoke to Moses in The Tabernacle in the wilderness during The Exodus to The Promised Land from above The Cover of The Ark of The Covenant. And GOD spoke to Moses Face to face from between the two Cherubim that were on The Cover of The Ark. LEVITICUS 23.33-34 All GOD’S months are by number. The first month of the year is The First Month. The second month of the year is The Second Month. The seventh month of the year is The Seventh Month, and so on. The Feast of Tabernacles is the fifteenth day of the seventh month for seven days unto The LORD. Today is the fifteenth day of the seventh month. The day that starts the seven day Festival of GOD called Sukkot (Booths), also called Tabernacles. The Rabbis changed GOD’S numbered months to the names of Babylonian months when Israel was in captivity in Babylon from 586 B.C./B.C.E. to 516 B.C.E./B.C. Judaism calls the First Month Nisan. The Second Month is called Iyyar, The Third Month, Sivan. The Seventh Hebrew Month, the month we are in today is called Tishrei. LEVITICUS 23.35 On the first Day of Sukkot/Tabernacles is a Holy Convocation. A Holy Convocation is a gathering together of GOD’S People for a Service, a time wholly dedicated to THE GOD OF ISRAEL. And GOD Commands everyone on this day not to do any work of any kind, but come together for a Service in Honor of The LORD Our GOD. LEVITICUS 23.36 GOD Commands us to offer an offering made by fire to The LORD for seven days. The offerings made by fire to The LORD during Tabernacle and Temple times were sacrificed animals that included animals sacrificed for Atonement called sin offerings. AND TODAY WITHOUT THE TEMPLE STANDING IN JERUSALEM, IT IS STILL THE BLOOD THAT MAKES ATONEMENT FOR YOUR SOUL. THE EIGHTH DAY OF TABERNACLES IS A HOLY CONVOCATION TO YOU UNTO THE LORD. IT IS A SACRED OCCASION, AND YOU SHALL OFFER AN OFFERING MADE BY FIRE UNTO THE LORD. BECAUSE GOD REQUIRES YOU TO HAVE ATONEMENT. TODAY, THE ATONEMENT THAT GOD PROVIDES FOR YOU IS THROUGH THE SHED BLOOD OF THE JEWISH MESSIAH YESHUA. AND BIBLICAL ATONEMENT THROUGH MESSIAH YESHUA ALONG WITH YOUR OBEDIENCE TO TORAH, THE LAW OF MOSES, RECONCILES YOU TO GOD. THAT IS, YOUR ATONEMENT IN MESSIAH YESHUA REUNITES YOU WITH GOD. THE BIBLE IS FOR ALL THE WORLD. THE EIGHTH DAY IS A SABBATH. YOU SHALL DO NO WORK OF ANY KIND ON THAT DAY. LEVITICUS 23.37-38 THESE ARE THE FESTIVALS OF THE LORD. EVERY FESTIVAL OF GOD DURING TABERNACLE AND TEMPLE TIMES, THE LORD REQUIRED OFFERINGS MADE BY FIRE UNTO THE LORD THAT INCLUDED ANIMALS SACRIFICED FOR ATONEMENT. TODAY, THE ATONING DEATH OF THE JEWISH MESSIAH YESHUA AND HIS SHED BLOOD HAVE REPLACED THE ANIMAL SACRIFICE WHILE THERE IS NO TEMPLE IN JERUSALEM. THE SACRIFICIAL SYSTEM WILL BE REINSTATED WHEN THE NEXT TEMPLE IS BUILT. These Festivals are in addition to our Saturday Sabbaths, and any gifts, vows, and free will offerings that we give to The LORD. LEVITICUS 23.39 GOD says, The fifteenth day of this Month, when you have gathered in the fruit of the Land, you shall keep it a Feast unto THE LORD seven days. The First Day shall be a Sabbath, and The Eighth Day shall be a Sabbath. LEVITICUS 23.40-41 This is a time to rejoice before The LORD Your GOD. GOD says, On the first Day you shall take for yourselves fruits of good trees, branches of palm trees, and fruits of thick trees, and willows of the brooks, and you shall rejoice before The LORD Your GOD seven days. LEVITICUS 23.42-43 You shall dwell in booths, GOD says, for seven days. All that are born Israelites shall dwell in booths. That your generations shall know that I made The Children of Israel to dwell in booths when I brought them out of the land of Egypt. I Am The LORD Your GOD. It is an awesome thing to consider what GOD did for The Jewish People, and all the world before and while The Children of Israel lived in booths for forty years from the time GOD delivered His People from 400 years of Egyptian slavery. Before Israel lived in booths, GOD created the Passover. And a special occasion to remember is the blood of The Passover Lamb that saved and delivered The Jewish People from death in Egypt. As the blood of the lamb saved The Jewish People from destruction that night in Egypt, so does the blood of The Messiah Yeshua, The Lamb of GOD save you from destruction when you put your faith in The Jewish Messiah Yeshua Who is GOD ALMIGHTY. And repent of all your sins of breaking The Law of Moses, and turn to GOD and do that which is Lawful and Right. Being Lawful and Right in The Eyes of GOD is living by every Word GOD speaks in The Bible. And that includes The Law of Moses written in the first five books of The Bible, and every Word that GOD speaks throughout The Bible. BIBLICAL ATONEMENT RECONCILES YOU WITH GOD. After 400 years of Egyptian slavery, GOD revealed more of His Great Power by opening the Red Sea for His People to pass on dry ground, frustrating the evil of the king of Egypt to kill all The Jews. But rather GOD killed the king of Egypt and his entire army in the Red Sea. And when The Children of Israel began to live in booths, GOD provided manna and quail from Heaven six days a week until they came into the Promised Land Canaan. On the sixth day, GOD provided a double portion so that The People had no need to work and seek food on the seventh day Sabbath. WHEN YOU LIVE YOUR LIFE FOR THE GOD OF ABRAHAM, ISAAC, AND JACOB WHO IS THE MESSIAH YESHUA, GOD WILL ALWAYS PROVIDE FOR YOU. When water was not available, The LORD GOD brought water from rocks. But immediately after leaving Egypt, The People were attacked by the Amalekites, and Israel defeated them. And often through their forty year journey to The Promised Land, the enemies of GOD who are the enemies of Israel and The Jewish People, attacked The Children of Israel. And with GOD’S eternal help, Israel always had the victory. And at Mount Sinai, GOD descended upon the mountain to give the Children of Israel The Ten Commandments to lead a GODLY life. And through The Jewish People who wrote The Bible from Genesis through Revelation, GOD has given the world those same Ten Commandments, and all GOD’S Laws, Teachings, and Instructions that are written in The Law of Moses. And GOD’S Spoken Word Written throughout The Bible to live a GODLY life, a good Life, and a lawful life, and a healthy life in the Presence of The LORD Your GOD. Also, knowing and believing there is only One GOD and no others. And Messiah Yeshua is that One GOD Who is your Atonement, your Reconciliation with GOD. That is The Gospel for a good, healthy, successful, and prosperous life on earth, and Eternal Life in Heaven. GOD had The Children of Israel make a Tabernacle in the wilderness to worship GOD. That is a teaching for all the world to worship GOD correctly. And GOD teaches His People and all mankind to rest on the seventh day, GOD’S Sabbath from sundown Friday to sundown on Saturday. And as GOD promised, He brought The Children of Israel to The Promised Land that was the land of Canaan, that became The Land of Israel, The Everlasting Possession of The Jewish People. LEVITICUS 23.44 And Moses declared all The Feasts of The LORD to The Children of Israel. DO YOU DESIRE EXCELLENT HEALTH? THEN DO NOT EAT ANY ABOMINABLE THING. Our Teaching from Torah, The Law of Moses will continue from Deuteronomy 14.3-21. AND THE TITLE OF OUR TEACHING IS, DO YOU DESIRE EXCELLENT HEALTH? THEN DO NOT EAT ANY ABOMINABLE THING. THE WORD ABOMINABLE IN HEBREW IS TOE’AH’VAH THAT MEANS, SOMETHING DISGUSTING, DETESTABLE, AND LOATHSOME. THEREFORE THESE WORDS SPOKEN IN THE BIBLE IN THE LAW OF MOSES ARE FOR JEWISH PEOPLE AND NON-JEWISH PEOPLE. To be more specific, Every Word Spoken by GOD in The Bible from Genesis through Revelation is for all the world to live by and obey. The Spoken Word of GOD Written in The Bible that includes GOD’S Laws for eating that which is good in The Sight of GOD, and eating that which is abominable in The Sight of GOD is for everybody. Jewish People and Gentile People. ALSO, EATING WHAT GOD ALLOWS YOU TO EAT, AND NOT EATING WHAT GOD CALLS ABOMINABLE IS HOLINESS UNTO THE LORD YOUR GOD. SO LET’S TAKE ONE VERSE OF SCRIPTURE AT A TIME IN DEUTERONOMY 14. 3-21. FOR THESE ARE THE COMMANDMENTS OF GOD TO YOU. DEUTERONOMY 14.3. YOU SHALL NOT EAT ANY ABOMINABLE THING. A GOOD QUESTION FOR YOU. WOULD YOU LIKE TO HAVE EXCELLENT HEALTH? I’M SURE YOUR ANSWER IS YES. THEN DO NOT EAT ANYTHING THAT GOD CALLS ABOMINABLE. And that’s what this Bible Study is about. The animals, fish and birds that GOD allows you to eat, and those that GOD does not allow you to eat. FOLLOW GOD’S LAWS FOR YOUR DIET, AND YOUR HEALTH WILL IMMEDIATELY BECOME BETTER. DEUTERONOMY 14.4 GOD says, These are the animals, that is the meat of the animals that you shall eat. The ox, the sheep, and the goat. Cattle are in the category of the ox. DEUTERONOMY 14.5 The hart is a deer, gazelle, and antelope. The roebuck is a male deer. And the fallow deer is a Eurasian deer with a yellowish coat. And the wild goat, and the pygarg. The pygarg is an antelope. And the wild ox. The chamois is a goat antelope. All the above in verse 5 you may eat. DEUTERONOMY 14.6 You may eat the meat of every animal that splits the hoof, that is divided into two claws. And brings up its cud. The cud is a portion of the food in the animal that returns from its stomach to its mouth to be chewed a second time. The meat of those animals, GOD says, you may eat. DEUTERONOMY 14.7 You shall not eat the meat of the following animals. The camel, or the hare. The hare is a rabbit or any animal that is closely related to the rabbit. The coney is also a rabbit. These animals are unclean in The Sight of GOD. You shall not eat the meat of these animals, saith, The LORD. DEUTERONOMY 14.8 And the swine. The swine, as you know, is a pig, a hog, or a boar. Ham, bacon, sausage, pork, or any other meat that comes from the swine you shall not eat, saith The LORD YOUR GOD. Pigs often eat their own feces. You shall not eat of their flesh, nor touch their dead carcass, GOD says. DEUTERONOMY 14.9 You may eat of all that are in the waters. All that have fins and scales you may eat, saith The LORD YOUR GOD. DEUTERONOMY 14.10 Whatsoever does not have fins and scales you shall not eat. They are unclean to you, and defile you. Such as shrimp, prawns, lobster, scallops, mussels, oysters, squid, octopus, crabs, clams, quahogs, snails, and all other shell fish. They are abominable and unclean to you. DEUTERONOMY 14.11 OF ALL CLEAN BIRDS YOU MAY EAT. WE WILL ADDRESS CLEAN BIRDS IN VERSE 20. DEUTERONOMY 14.12 You shall not eat the eagle, and the ossifrage. The ossifrage is a vulture. The osprey is a hawk. You shall not eat them. DEUTERONOMY 14.13 A glede is a member of the hawk and buzzard families. The kite is a hawk. And the vulture of any variety. You shall not eat them. DEUTERONOMY 14.14 Every raven of any variety you shall not eat. DEUTERONOMY 14.15 And the owl. The owl also includes the ostrich. Also the night hawk, and the cuckoo. The cuckoo is a sea gull. And the hawk of any variety. You shall not eat them. DEUTERONOMY 14.16 You shall not eat the little owl, or the great owl, or the swan. DEUTERONOMY 14.17 You shall not eat the pelican, and the gier eagle. A gier eagle is a vulture, and the cormorant. DEUTERONOMY 14.18 You shall not eat the stork, the heron of any variety, and the lapwing. The lapwing is a hoopoe bird. And the bat. Do not eat them. DEUTERONOMY 14.19 And every creeping thing that flies is unclean to you. They shall not be eaten. My advice, if you’re not sure, don’t eat it. DEUTERONOMY 14.21 You shall not eat the meat of anything that dies of itself. You shall give it to the stranger, or you may sell it to a non Jewish person. You shall not seethe, that is, you shall not boil a young goat in its mother’s milk. From this dietary law, the Rabbis have made it law not to cook, eat, or benefit from a mixture of meat and dairy foods together. JOHN 8.56-59 WHEN GOD VISITED ABRAHAM, THAT WAS MESSIAH YESHUA, THE LORD GOD ALMIGHTY, THE FATHER, HA SHEM ELOHIM. OR AS CHRISTIANITY CALLS THE FATHER, JEHOVAH. GOD SAYS, YOU ARE A HOLY PEOPLE UNTO THE LORD YOUR GOD. HOLY PEOPLE UNTO THE YOUR LORD LIVE BY EVERY WORD GOD SPEAKS. AND THAT INCLUDES OBEDIENCE TO GOD’S FOOD LAWS. HOLY PEOPLE UNTO THE LORD YOUR GOD LIVE BY EVERY WORD GOD SPEAKS IN THE BIBLE. AND GOD WILL REWARD YOU WITH EXCELLENT HEALTH, AND ETERNAL LIFE IN HEAVEN. YOU SHALL NOT EAT ANY ABOMINABLE THING, SAITH THE LORD YOUR GOD. Posted on September 23, 2018 September 27, 2018 Categories Shabbat MessageLeave a comment on DO YOU DESIRE EXCELLENT HEALTH? THEN DO NOT EAT ANY ABOMINABLE THING. YOM KIPPUR, THE DAY OF ATONEMENT, IS A DAY TO MAKE ATONEMENT FOR YOURSELF BEFORE THE LORD YOUR GOD. Today is Yom Kippur, The Day of Atonement in which Judaism calls the most solemn occasion of the Jewish Calendar. Torah, The Law of Moses about Yom Kippur, The Day of Atonement, from Leviticus 23.26-32. AND THE TITLE OF OUR TEACHING IS, YOM KIPPUR, THE DAY OF ATONEMENT, IS A DAY TO MAKE ATONEMENT FOR YOURSELF BEFORE THE LORD YOUR GOD. GOD SPOKE TO MOSES FACE TO FACE FROM ABOVE THE MERCY SEAT OF GOLD UPON THE ARK OF THE COVENANT IN THE HOLY OF HOLIES IN THE TABERNACLE, BETWEEN THE TWO CHERUBIM OF GOLD UPON THE MERCY SEAT. THE MERCY SEAT IS THE COVER OF THE ARK OF THE COVENANT. Some say that it is impossible that GOD spoke to Moses Face to face, because GOD says, No one can see My Face and live. GOD is beyond human comprehension. But GOD did speak to Moses Face to face because The Bible clearly says that GOD spoke to Moses Face to face as a man speaks to his friend. EXODUS 33.18-23 GOD IS A SPIRIT WHO FILLS THE HEAVENS AND THE EARTH. AND NO ONE CAN SEE THE SPIRITUAL FACE OF GOD AND LIVE. GOD said to Moses in Exodus 33.23, And I will take away My Hand and you shall see My Back Parts, but My Face shall not be seen. Can The Face of GOD be The Front of The Fullness of The Spirit of GOD Who fills The Heavens and the earth? But when GOD appears as a Human Being as He did with Abraham, Isaac, Jacob, Moses and others, and in The Person of Messiah Yeshua in Israel, many saw GOD, and can see GOD, and The Face of GOD. We will see The Face of GOD in Heaven. Whether we see His Spiritual Face or His Face in His Appearance as a Human Being, I do not know. LEVITICUS 23.27 GOD said to Moses, On the tenth day of this seventh month (which is today) this day is The Day of Atonement. Atonement can be made any day, but Yom Kippur, The Day of Atonement, is a Festival of GOD reminding all humanity that you must have Atonement from GOD for the forgiveness of your sins. Sin is sinning against GOD by despising The Word of The LORD Written in The Bible, and therefore disobeying GOD. Or as 1 John 3.4 reads, Sin is the transgression of The Law. The Law is The Law of Moses. Continuing in Leviticus 23.27, GOD told Moses, This Day shall be a Holy Convocation unto you. A Holy Convocation is for The People to gather together for a Service devoted to GOD. AND ON THIS DAY OF ATONEMENT, GOD COMMANDS YOU TO MAKE ATONEMENT FOR YOUR SINS, AND DO NO WORK OF ANY KIND IN THIS DAY. And GOD also said to Moses, you shall afflict your soul and offer an offering made by fire unto The LORD. The Rabbis have decided that this English word AFFLICT means to fast on The Day of Atonement. DANIEL 10.12 The word Chasten is also from the Hebrew Word AHNAH. The angel said to Daniel, Fear not, Daniel, for from the first day that you set your heart to understand and to chasten yourself before your GOD; That is, The angel said to Daniel, YOU HUMBLED YOURSELF, AND YOU OBEY GOD. The Angel never told Daniel to fast before GOD. Look, I’m not saying that fasting is a bad thing. It’s not. But being Humble before GOD, and Obeying GOD is greater than fasting. Obeying every word GOD speaks in The Bible is much more important to GOD than fasting. The Word HEAR comes from The Hebrew Word SHEMA that means Obey. We are Commanded by GOD to OBEY GOD, always. And there is One GOD. And that is what GOD requires of every human being. Obedience to every Word Spoken by GOD Written in The Bible. And there is One GOD. And we are to obey GOD on Yom Kippur, and do what GOD says. The word FAST in Hebrew is STOME and not AHNAH. IN FACT, I DO NOT SEE THE HEBREW WORD STOME FOR FASTING WRITTEN IN TORAH AT ALL. GOD REQUIRES EVERYONE TO OBEY HIM. AND THAT IS WHAT SHOULD BE TAUGHT ON YOM KIPPUR, THE DAY OF ATONEMENT. THAT GOD REQUIRES EVERY JEWISH PERSON, AND ALL PEOPLE TO OBEY EVERY WORD GOD SPEAKS IN TORAH, THE LAW OF MOSES, AND THROUGHOUT THE BIBLE. AND MAKE ATONEMENT FOR YOURSELF BEFORE THE LORD YOUR GOD. FOR GOD IS THE GOD OF THE JEWISH PEOPLE AND THE GENTILES. OBEYING EVERY WORD GOD SPEAKS IN THE BIBLE, AND KNOWING AND BELIEVING THERE IS ONLY ONE GOD ARE THE MOST IMPORTANT TEACHINGS IN THE BIBLE. AND GOD ALSO SAID TO MOSES, THE PEOPLE MUST OFFER AN OFFERING MADE BY FIRE UNTO THE LORD. HOWEVER IT IS CRITICAL TO KNOW THAT GOD SAYS IN TORAH, IT IS THE BLOOD THAT MAKES ATONEMENT FOR THE SOUL. JUDAISM IS TAUGHT INCORRECTLY BY THE RABBIS ABOUT MAKING ATONEMENT TODAY. THE RABBIS SAY, FORGIVENESS OF SINS DEPENDS ON PEOPLE HAVING ATONEMENT FOR THEIR SINS. AND THAT IS TRUE. BUT THE RABBIS ARE ENTIRELY WRONG WHEN THEY TEACH THAT ATONEMENT CAN BE EFFECTED IN A NUMBER OF WAYS. THROUGH PAYMENT OF COMPENSATION FOR A WRONG COMMITTED, THROUGH SUFFERING, OR BY THE PERFORMANCE OF CERTAIN RITUALS. ALL MUST HAVE REPENTANCE, THE RABBIS SAY, AND THE RECTIFICATION OF ONES WAYS. TODAY THERE IS ONLY ONE WAY FOR ATONEMENT. AND THAT IS FROM THE DEATH AND SHED BLOOD OF THE JEWISH MESSIAH YESHUA WHO GAVE HIS LIFE VOLUNTARILY 2,000 YEARS AGO IN JERUSALEM FOR ONE PURPOSE, YOUR ATONEMENT AND MINE. 700 YEARS BEFORE THE BIRTH OF THE JEWISH MESSIAH YESHUA, ISAIAH THE JEWISH PROPHET PROPHESIED IN ISAIAH CHAPTER 53 IN TNACH, THE OLD TESTAMENT, THAT HE, (MESSIAH YESHUA) IS DESPISED AND REJECTED OF MEN. YET IT PLEASED THE LORD TO BRUISE HIM. HE HAS PUT HIM TO GRIEF WHEN YOU SHALL MAKE HIS SOUL AN OFFERING FOR SIN. BECAUSE HE HAS POURED OUT HIS SOUL UNTO DEATH AND WAS NUMBERED WITH THE TRANSGRESSORS AND HE BORE THE SIN OF MANY. THE WORLD, WHO CALLS MESSIAH YESHUA, JESUS, KNOWS WELL THE STORY OF MESSIAH’S DEATH, BURIAL AND RESURRECTION. AND HIS DEATH WAS FOR ONE PURPOSE AND ONE PURPOSE ONLY. FOR THE ATONEMENT OF JEWISH PEOPLE AND ALL THE WORLD. GOD ALMIGHTY IS YESHUA THE MESSIAH, THE HOLY ONE OF ISRAEL WHO GAVE HIS LIFE AS A HUMAN BEING TO BE YOUR ATONEMENT. GOD GAVE HIS LIFE AS A HUMAN BEING BECAUSE GOD CAN NEVER DIE. ISAIAH 53, PSALM 22.1, MATTHEW 27.46, THE JEWISH NEW TESTAMENT. GOD SAID TO MOSES, WHOSOEVER HAS SINNED AGAINST ME, HIM WILL I BLOT OUT OF MY BOOK. THAT IS THE BOOK OF LIFE IF YOUR NAME REMAINS WRITTEN IN GOD’S BOOK OF LIFE, YOU HAVE ETERNAL LIFE IN HEAVEN. IF NOT, YOU WILL NOT HAVE ETERNAL LIFE IN HEAVEN. AND THAT IS WHY YOU NEED BIBLICAL ATONEMENT FROM GOD. HEAVEN OR HELL. AND ATONEMENT MUST BE ACCOMPANIED WITH OBEDIENCE TO TORAH, THE LAW OF MOSES, AND EVERY WORD THAT GOD SPEAKS IN THE BIBLE. LEVITICUS 23.28 GOD COMMANDS US NOT TO DO ANY WORK OF ANY KIND ON THE DAY OF ATONEMENT BECAUSE IT IS A DAY TO MAKE AN ATONEMENT FOR YOU BEFORE THE LORD YOUR GOD. LEVITICUS 23.29 AND GOD SAYS, WHATSOEVER SOUL IS NOT AFFLICTED, THAT IS, WHATSOEVER SOUL DOES NOT OBEY GOD, THAT SOUL SHALL BE CUT OFF FROM AMONG HIS PEOPLE. LEVITICUS 23.31 AND GOD SAYS, YOU SHALL DO NO MANNER OF WORK ON THAT DAY. IT SHALL BE A STATUTE FOREVER. LEVITICUS 23.32 And GOD SAYS, IT SHALL BE TO YOU A SABBATH OF REST, AND YOU SHALL AFFLICT YOUR SOULS IN THE NINTH DAY AT EVENING, FROM EVENING TO EVENING YOU SHALL CELEBRATE YOUR SABBATH. RATHER THAN THE ENGLISH WORD “AFFLICT” YOUR SOUL, GOD SAYS, YOU SHOULD HUMBLE YOURSELF AND OBEY THE LORD YOUR GOD, AND DO WHAT THE LORD YOUR GOD SAYS. THE MYSTERIES OF THE KINGDOM OF HEAVEN ARE THE WRITTEN WORD OF GOD IN THE BIBLE THAT SO FEW UNDERSTAND AND OBEY. READING THE WRITTEN WORD OF GOD IN THE BIBLE, BELIEVING IT, OBEYING IT, AND DOING WHAT GOD SAYS IS A MYSTERY TO MOST PEOPLE WHO TURN TO FALSE TEACHINGS, OR DO AS THEY PLEASE. BUT HOPEFULLY THE WRITTEN WORD OF GOD IN THE BIBLE IS NOT A MYSTERY TO YOU. BECAUSE YOU LIVE YOUR LIFE BY EVERY WORD GOD SPEAKS. Posted on September 21, 2018 September 23, 2018 Categories Shabbat MessageLeave a comment on YOM KIPPUR, THE DAY OF ATONEMENT, IS A DAY TO MAKE ATONEMENT FOR YOURSELF BEFORE THE LORD YOUR GOD. WHAT DOES IT TAKE TO BE A CHILD OF GOD, HOLY, CHOSEN, AND SPECIAL ABOVE ALL THAT ARE UPON THE EARTH? Our Teaching will continue in Torah, The Law of Moses from Deuteronomy 14.1-2. AND THE TITLE OF OUR MESSAGE IS, WHAT DOES IT TAKE TO BE A CHILD OF GOD, HOLY, CHOSEN, AND SPECIAL ABOVE ALL THAT ARE UPON THE EARTH? I thought you might be interested to know that it is estimated that total sales of The Bible are over 5 Billion copies. It is written by certain writers that The Bible is the most influential and best selling book of all time. And approximately 100 million Bibles are sold annually. Yet so few of those billions who own or have owned Bibles live or have lived by every Word that proceeds out of The Mouth of The LORD that is Written in The Bible. Worshiping GOD in Spirit and Truth means that you must have The Holy Spirit to correctly worship GOD. And The Bible says that you can only receive The Holy Spirit when you obey GOD. When you obey every Word GOD speaks in The Bible that includes The Law of Moses that is written in the first five Books of The Bible. Because it is The Holy Spirit Who Teaches you All Truth. But so many people do not obey GOD because Christian doctrine has abolished the entire Law of Moses that is written in the first five Books of The Bible that contain GOD’S Laws, Teachings, and Instructions. And Messiah says, GOD must be worshiped in Truth. And The Holy Spirit is The Spirit of Truth. And since The Holy Spirit is The Spirit of Truth, and so many reject The Truth by rejecting Torah, The Law of Moses, they do not have The Spirit of Truth to be true worshipers of GOD. GOD does The Ordaining. That is, GOD Chooses Whom He will. And that number is very few because so few live their lives according to GOD’S Spoken Word in The Bible that includes His Laws, Teachings, and Instructions that are written in The Law of Moses. That is the fruit that you are to bring forth, obedience to every Word GOD Speaks. But so few obey GOD. EPHESIANS 5.9-10 The Fruit of The Spirit is in all Goodness, Righteousness, and Truth. Proving what is acceptable to The LORD. The Fruit that Messiah speaks of is Goodness, Righteousness and Truth. Righteousness is doing that which is Right with GOD. Being Right with GOD is Obeying Him. Obeying His Laws, Teachings and Instructions that are written in The Law of Moses, and obeying every Word GOD speaks in The Bible. That is The Fruit that GOD requires you to bring forth and live by. And that is what is acceptable to The LORD Your GOD. The mysteries of The Kingdom of Heaven are The Spoken Words of GOD Written in The Bible. GOD’S Laws, Teachings and Instructions Written in The Law of Moses, and every Word GOD Speaks in The Bible are a mystery to most people because GOD does not give everybody eyes to see The Truth of GOD’S Spoken Word in The Bible that must be obeyed. I’m saying all this because Deuteronomy 14.1 reads, You are The Children of The LORD Your GOD. Again I have to say this because GOD Chose The Jewish People to be His Witnesses to Hear and Obey His Words that they wrote in The Old Testament and in The New Testament. To teach the nations and all peoples through The Bible what GOD requires of you. And what GOD requires of you is to live by every Word that proceeds out of The Mouth of The LORD Written in The Bible. AND THAT IS HOW YOU BECOME A CHILD OF THE LORD YOUR GOD. BY LIVING YOUR LIFE ACCORDING TO EVERY WORD GOD SPEAKS IN THE BIBLE EVEN WHEN SO MANY BIBLE TEACHERS TEACH FALSELY THAT THE LAW OF MOSES IS ABOLISHED. Religion teaches religion rather than The Pure Word of GOD Written in The Bible. Religion does not teach How To Be a Child of GOD by living according to every Word that proceeds out of The Mouth of GOD from Genesis through Revelation. The Jewish Religion is the closest Religion to teaching The Pure Word of GOD. However by rejecting and not teaching The People The Jewish New Testament that Jewish People wrote, and is Ordained by GOD as Torah, Genesis 49.10,18, the Rabbis deprive themselves and The People of The Truth. And the Rabbis must follow Torah and teach Torah Line upon Line, Word upon Word. DEUTERONOMY 14.1 GOD speaking through His Prophet Moses to The Children of Israel who are The Jewish People, and to All People who will Hear GOD and Obey Him, You are The Children of The LORD Your GOD. You shall not cut yourselves, nor make any baldness between your eyes for the dead. When Elijah The Prophet met with Ahab the king of northern Israel during a very long drought when there was no rain, Ahab the king said to Elijah The Prophet, Are you he that troubles Israel? And Elijah The Prophet said, I have not troubled Israel but you, and your father’s house in that you have forsaken The Commandments of The LORD, and you have followed baalim. That is, You follow false gods. And Elijah The Prophet said to king Ahab, Go and gather to me all Israel, and the four hundred and fifty prophets of baal, and the four hundred and fifty false prophets that eat at Jezebel’s table. And Ahab did what The Prophet Elijah said. And he gathered all the false prophets to mount Carmel and many of the people from Israel. And Elijah said to the 900 false prophets, and the people from Israel, How long will you dance between two opinions? If The LORD is GOD, Follow Him. But if baal, follow him. And the people answered him not a word. Then Elijah said to the people, I, even I only remain a Prophet of The LORD, but baal’s prophets are four hundred and fifty men. Let them give us two bulls, and let them choose one bull for themselves, and cut it in pieces, and lay it on wood, and put no fire under it. And I will dress the other bull and lay it on wood and put no fire under it. And call on the name of your gods, and I will call on the name of The LORD. And The GOD that answers by fire, let Him be GOD. And all the people answered and said, It is well spoken. And Elijah said to the prophets of baal, Choose for yourselves one bull, and dress it first, for you are many. And call on the name of your gods, but light no fire under it. And they took the bull which was given to them, and they dressed it, and called on the name of baal from morning till noon, saying, O baal, answer us. But there was no sound, nor any that answered. So they performed a hopping dance around the altar. And when noon came, Elijah mocked them, and said, Shout louder, after all he is a god. Either he is talking, or he may be detained, or he may be on a journey, or perhaps he is asleep and will wake up. So they shouted louder and gashed themselves with knives and spears according to their practice. And blood gushed out upon them. An when noon passed, they kept raving and yelling until the time of the offering. Still there was no sound, and none answered. Then Elijah said to The People, Come closer to me. And all The People came close to Elijah. And he repaired the damaged altar of The LORD. Then Elijah took twelve stones, according to the number of the tribes of the sons of Jacob to whom The Word of The LORD came, saying, Israel shall be your name. And with the stones, he built an altar in The Name of The LORD. And he made a trench around the altar as great as would contain two measures of seed. And he put the wood in order, and cut the bull in pieces, and laid the pieces on the wood. And said, fill four barrels with water, and pour it upon the burnt sacrifice, and on the wood. And he said, Do it a second time, and they did it a second time. And he said, Do it a third time, and they did it the third time. And the water ran round about the altar. And he also filled the trench with water. And at the time of the offering of the evening sacrifice, Elijah The Prophet came near, and said, LORD GOD of Abraham, Isaac, and Israel, Let it be known this day that you are GOD in Israel and that I am your servant, and that I have done all these things at Your Word. Hear me O LORD. Hear me that this people may know that you are The LORD GOD, and that you have turned their heart back again. Then the fire of The LORD fell, and consumed the burnt sacrifice, and the wood and the stones, and the dust, and licked up the water that was in the trench. And when all the people saw it, they fell on their faces and they said, The LORD, He is GOD. The LORD, He is GOD. And Elijah said to them, Take the prophets of baal. Do not let one of them escape. And they took them, and Elijah brought them down to The Brook Kishon, and killed them there. And Elijah said to king Ahab, Get up, eat and drink, for there is a sound of great rain. So Ahab ate and drank, and Elijah went up to the top of Mount Carmel and he fell on the earth, and put his face between his knees, and said to his servant, Go up and look toward the sea. And he went up and looked, and said, There is nothing. And Elijah said, Go again seven times. And the seventh time his servant said, Look, a little cloud as small as a man’s hand is rising in the east. And Elijah said to his servant, Go up and say to Ahab, Prepare your chariot and get down from here that the rain will not stop you. THE LORD, HE IS GOD. THE LORD, HE IS GOD. For those who desire to be a Child of The LORD Your GOD, Holy, Chosen, and Special above all that are upon the earth, THE LORD, HE IS GOD. THE LORD, HE IS GOD. And not the false teachers of The Bible who teach that GOD’S Law of Moses is abolished, and you should serve a trinity of three different gods. That is the same as following baalim, false gods. BECAUSE THE LORD, HE IS GOD. HE IS THE GOD YOU MUST FOLLOW AND SERVE, AND OBEY TO BE A CHILD OF GOD, HOLY, CHOSEN, AND SPECIAL ABOVE ALL THE PEOPLE THAT ARE UPON THE EARTH. DEUTERONOMY 14.2 FOR YOU ARE A HOLY PEOPLE UNTO THE LORD YOUR GOD, AND THE LORD HAS CHOSEN YOU TO BE A SPECIAL PEOPLE UNTO HIMSELF ABOVE ALL THE NATIONS THAT ARE UPON THE EARTH. AGAIN, WHAT DOES IT TAKE TO BE A CHILD OF GOD, HOLY, CHOSEN, AND SPECIAL ABOVE ALL THAT ARE UPON THE EARTH. YOU MUST BE LIKE GOD. THAT’S IMPOSSIBLE. BUT YOU CAN BE LIKE GOD WHO HIMSELF OBEYS EVERY WORD THAT HE SPEAKS. THAT IS BEING HOLY. OBEYING EVERY WORD THAT GOD SPEAKS IN THE BIBLE. AND THAT INCLUDES LIVING BY TORAH, THE LAW OF MOSES. SO WHAT DOES IT TAKE TO BE A CHILD OF GOD, HOLY, CHOSEN, AND SPECIAL ABOVE ALL THAT ARE UPON THE EARTH? Posted on September 16, 2018 September 17, 2018 Categories Shabbat MessageLeave a comment on WHAT DOES IT TAKE TO BE A CHILD OF GOD, HOLY, CHOSEN, AND SPECIAL ABOVE ALL THAT ARE UPON THE EARTH? DID GOD ORDAIN THE FIRST DAY OF THE SEVENTH HEBREW MONTH TO BE THE JEWISH NEW YEAR? Our teaching today will be about Rosh Ha Shanah, The Jewish New Year. And The Bible Verses we will teach from are in Torah, The Law of Moses, in Leviticus 23.23-25. AND THE TITLE OF OUR MESSAGE IS, DID GOD ORDAIN THE FIRST DAY OF THE SEVENTH HEBREW MONTH TO BE THE JEWISH NEW YEAR? As you can see, GOD never speaks of The New Year in these Verses. Rather The LORD GOD calls This Festival of The LORD, a Memorial Of Blowing Of Shofars. Or in Hebrew, ZEEKH’RONE TEH’RU’AH. GOD SAYS THAT THE NEW YEAR IS AT THE BEGINNING OF THE PASSOVER MONTH NISAN THAT OFTEN COMES AROUND MARCH OR APRIL. Rosh Ha Shanah is a Holiday that was created by the Rabbis during Second Temple times some time after 516 B.C.E./B.C. when The Jewish People returned to Israel from Babylonian captivity. It is not clear when Rosh HaShanah began to be celebrated as a Jewish Holiday, but it was during Second Temple times. GOD’S Festival at this time of year in the seventh Hebrew Month Tishrei, in the first day of the month is not Rosh Ha Shanah, but depending upon The Hebrew Bible you are reading, This Festival of GOD is called, A Memorial Proclaimed By A Blast of Horns, or A Remembrance Of Shofar Blasts, or A Sacred Occasion Commemorated With Loud Blasts, or A Memorial Of Blowing Of Shofars. ZEEKH’RONE means, Memory, Remembrance and Celebration. TEH’RU’AH has many meanings; Clamor, A Loud Demonstration of Joy, A Battle Cry, A Loud Sound of Trumpets or Shofars For A Call to Arms, Blowing Of Shofars, Joy, Rejoicing, and Shouting. The LORD GOD calls on Israel to sound The Shofar or The Trumpet for various occasions in Numbers 10. In the days of the Exodus, GOD called on Israel to sound the Shofar for The Calling of The Assembly, For The journeying of the Camps, To Assemble Themselves at The Door of The Tabernacle of The Congregation. And for The Heads of Israel to gather themselves to Moses. And the sons of Aaron The Priests blew The Shofars which GOD has made an Ordinance forever throughout our generations. When Israel goes to war in their Land against their enemies who oppress them, the alarm is blown by Shofars and GOD will remember His People and save them from their enemies. Therefore GOD says, The blowing of Trumpets and Shofars is to be kept in Memory for many reasons. LEVITICUS 23.1-2, 23-25 THIS FESTIVAL, AS ALL THE FESTIVALS WRITTEN IN LEVITICUS 23 ARE THE LORD’S FESTIVALS. The seventh month, in the first day of the month shall be a Sabbath, a Memorial of blowing of Shofars, A Holy Convocaton. A Holy Convocation is a Special Day for GOD’S People to gather together to hold a Service in Honor of The LORD Your GOD, The Holy One of Israel. No work of any kind is to be done in that day. THEREFORE THE PURPOSE OF MESSIAH YESHUA’S DEATH WAS FOR THE ATONEMENT OF MANY PEOPLE THROUGHOUT THE WORLD. BECAUSE GOD ORDAINED MESSIAH’S DEATH TO BE OUR ATONEMENT AFTER THE SECOND TEMPLE WAS DESTROYED BY THE ROMANS IN 70 CE/AD. IT IS IMPORTANT TO UNDERSTAND THAT HAVING ATONEMENT IN MESSIAH YESHUA REQUIRES OBEDIENCE TO EVERY WORD GOD SPEAKS IN THE BIBLE. THE SAME THAT WAS REQUIRED IN TABERNACLE, AND FIRST AND SECOND TEMPLE TIMES. BUT OF GREAT IMPORTANCE TO LOOK FORWARD TO, AND TO KEEP IN MEMORY AND CELEBRATE AT A TIME IN THE FUTURE, IS THE SOUNDING OF SHOFARS THAT WILL BE HEARD THROUGHOUT THE JEWISH WORLD DURING THE DAY OF ZEEKH’RONE TEH’RU’AH ON THE FIRST DAY OF THE SEVENTH HEBREW MONTH WHEN THE LORD GOD, THE JEWISH MESSIAH YESHUA RETURNS FROM HEAVEN TO SAVE ISRAEL AND THE JEWISH PEOPLE FROM ALL HER ENEMIES. ZECHARIAH 14 DESCRIBES THE RETURN OF THE LORD GOD, MESSIAH YESHUA FROM HEAVEN AT A TIME WHEN GOD WILL GATHER ALL THE NATIONS AGAINST JERUSALEM TO BATTLE. AND MESSIAH YESHUA WILL GO FORTH AND FIGHT AGAINST THOSE NATIONS AND DESTROY THEM ALL. AND HE WILL STAND UPON THE MOUNT OF OLIVES, AND THE MOUNT OF OLIVES WILL BREAK OPEN. PART OF THE MOUNTAIN WILL GO TO THE EAST, AND THE OTHER PART TO THE WEST. AND HALF OF THE MOUNTAIN WILL MOVE TO THE NORTH, AND THE OTHER HALF TO THE SOUTH. Messiah Yeshua explains this extraordinary event in greater detail in The Jewish New Testament about His Return. Messiah said, Immediately after the tribulation of those days, the sun shall be darkened, and the moon shall not give her light, and the stars shall fall from the heavens, and the powers of the heavens shall be shaken. And then shall appear The Sign of The Son of Man, THE MESSIAH YESHUA, THE LORD GOD ALMIGHTY in The Heavens. And all the tribes of The Land of Israel and those around the world will mourn. Those who pierced Him, and those who do not know GOD. And those who do not Obey GOD, and those who do not have Messiah Yeshua for their Atonement. And they will see The Son of Man coming in the clouds of The Heavens with Power and Great Glory. AND MESSIAH WILL SEND HIS ANGELS WITH A GREAT BLAST OF A SHOFAR. And at the same time, at Messiah’s return, at the blast of the Shofar, the resurrection will take place. The dead in Messiah will rise first. Then we which are alive and remain shall be brought up together with them in the clouds to meet The LORD in the air, and so shall we be forever with The LORD. And we, with Messiah Yeshua, from the clouds, will go The Land of Israel to establish and live in The Messianic Kingdom for one thousand years. AND MESSIAH YESHUA WILL BE KING OVER ALL THE EARTH FROM JERUSALEM. IN THAT DAY EVERYONE WILL KNOW THAT THERE IS ONE LORD AND NO OTHERS. AND HIS NAME IS MESSIAH YESHUA, GOD ALMIGHTY, HA SHEM ELOHIM WHO CREATED THE HEAVENS AND THE EARTH. And with those words, comfort one another. SO IN ANSWER TO OUR QUESTION, DID GOD ORDAIN THE FIRST DAY OF THE SEVENTH HEBREW MONTH TO BE THE JEWISH NEW YEAR? THE ANSWER IS NO. The Scriptures from what The Rabbis took to create The Jewish New Year in the seventh Hebrew Month in the first Day is called A MEMORIAL OF BLOWING OF SHOFARS, AND NOT ROSH HA SHANAH. 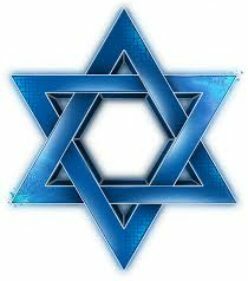 I believe that The Day to Keep in Memory as a Reminder to Celebrate in The Seventh Month in The First Day is Written in The Jewish New Testament that tells of The Future Return of The Jewish Messiah Yeshua on that day when the blast of the Shofars will be heard throughout The Jewish world. In that Great Future Day, The MESSIAH YESHUA, GOD ALMIGHTY will return and destroy all the enemies of Israel and all the enemies of The Jewish People. And those who do not know GOD and Obey Him, nor do they obey The Gospel of GOD. The Gospel of Messiah Yeshua is this. When you obey GOD and live by every Word that GOD speaks in The Bible including His Law of Moses that is written in the first five Books of The Bible, is Obedience to GOD, doing every Word GOD speaks in The Bible from Genesis through Revelation. That includes all GOD’s Laws, Teachings and Instructions that are written in The Law of Moses in the first five books of The Bible. And having Atonement for your sins in Messiah Yeshua. You are The People of GOD who will be raised to meet The Messiah in the air. To be with Him when He returns to the Land of Israel to establish His One Thousand Year Messianic Kingdom in Israel from a River in Egypt to the Euphrates River. And after the One thousand years, you will spend Eternity in Heaven with The LORD Your GOD, HA SHEM ELOHIM, THE MESSIAH YESHUA. THAT IS THE GOSPEL OF MESSIAH YESHUA FOR A GOOD LIFE WITH GOD ON EARTH, AND A GREAT LIFE THAT IS UNSPEAKABLE THROUGHOUT ETERNITY IN HEAVEN WITH THE LORD YOUR GOD, MESSIAH YESHUA. Posted on September 11, 2018 Categories Shabbat MessageLeave a comment on DID GOD ORDAIN THE FIRST DAY OF THE SEVENTH HEBREW MONTH TO BE THE JEWISH NEW YEAR? THE FIERCENESS OF GOD’S ANGER IS UPON THOSE WHO SERVE other gods SUCH AS THE TRINITY OF THREE different gods. We are continuing our studies in Torah, The Law of Moses in The Hebrew Bible from Deuteronomy 13.13-19, and in The Christian Bible from Deuteronomy 13.12-18. AND THE TITLE OF OUR MESSAGE IS, THE FIERCENESS OF GOD’S ANGER IS UPON THOSE WHO SERVE OTHER gods SUCH AS THE TRINITY OF THREE different gods. THE JESUS OF THE BIBLE IS GOD ALMIGHTY THE FATHER. BUT THE TRINITY OF CHRISTIANITY IS THREE different gods. The doctrine of the trinity is the father is a god, the son jesus who is messiah yeshua is a different god, and the spirit is yet another different god. THAT IS SIN AND NOT BIBLICAL. THEREFORE SINCE SO MANY CHRISTIANS AND MESSIANIC JEWS BELIEVE THAT JESUS OR YESHUA THE MESSIAH IS GOD BUT NOT THE FATHER, THEY SERVE other gods. And with that said, Let’s read in The Hebrew Bible Deuteronomy 13.13-19, and in The Christian Bible Deuteronomy 13.12-18. YOU ARE GOD’S PEOPLE WHEN YOU OBEY AND DO ALL GOD’S COMMANDMENTS. THAT IS ALL GOD’S LAWS THAT ARE WRITTEN IN THE LAW OF MOSES IN THE FIRST FIVE BOOKS OF THE BIBLE, AND EVERY WORD THAT GOD SPEAKS IN THE BIBLE. AND HAVING MESSIAH YESHUA FOR YOUR ATONEMENT FOR THE FORGIVENESS OF ALL YOUR SINS. AND YOU BELIEVE IN ONE GOD AND NO OTHERS. AND DO ALL THAT GOD SPEAKS IN THE BIBLE. FOR GOD GAVE ALL HIS LAWS, TEACHINGS AND INSTRUCTIONS THAT ARE WRITTEN IN THE LAW OF MOSES TO THE JEWISH PEOPLE, AND THROUGH THE JEWISH PEOPLE TO THE WORLD BY WAY OF THE BIBLE. The LORD GOD speaking through His Prophet Moses, spoke these Words to The Jewish People, and by means of The Bible to the world. You shall surely kill the people of that city with the edge of the sword, destroying it utterly, and all that is in it, and the cattle of it with the edge of the sword. And you shall gather all the spoil of that city into the middle of an open space, and burn the city with fire, and all the spoil of it. You shall consume it entirely for The LORD Your GOD. And it shall be a heap forever. It shall not be built again. And nothing of the cursed thing shall stick to you hand, that The LORD may turn from the fierceness of His anger, and show you mercy, and have compassion upon you, and multiply you as He has sworn to your fathers. When you shall Obey The Voice of The LORD Your GOD, to Keep His Commandments which I Command you this day, to do that which is right in The Eyes of The LORD Your GOD. Of course killing someone on the spot today for the crime of believing in other gods would be murder. But if the guilty does not repent and serve The LORD GOD ALMIGHTY ONLY, WHO IS MESSIAH YESHUA, GOD will handle the punishment Himself in His time. Because it is The Law of GOD to serve only ONE GOD, GOD ALMIGHTY WHO IS MESSIAH YESHUA and none others. HEBREW BIBLE DEUTERONOMY 13.2-4, CHRISTIAN BIBLE DEUTERONOMY 13.1-3 A Prophet, or a dreamer of dreams today would be a Bible Teacher, or Pastor, Reverend, Messianic Rabbi, Doctors of Theology, and other powerful people in religious authority, or any individual. And those who teach you the trinity of three different gods, turn you away from MESSIAH YESHUA WHO IS GOD ALMIGHTY. And cause you to betray GOD. And that is a crime in The Eyes of GOD punishable by death, if there is no repentance. The test for all Prophets, dreamers of dreams, Bible Teachers, Pastors, Reverends, Doctors of Theology, Messianic Rabbis, and other powerful people in religious authority, or any individual, is this; DO YOU OBEY GOD’S LAW OF MOSES, AND EVERY WORD SPOKEN BY GOD IN THE BIBLE? AND DO YOU BELIEVE IN ONE GOD AND NO others? IF THE ANSWER IS NO, THEY ARE FALSE PROPHETS AND FALSE TEACHERS. 1 JOHN 5.7 MOST CHRISTIAN BIBLES REJECT THIS PASSAGE OF THE FATHER, THE WORD, AND THE HOLY SPIRIT BEING “ONE” BECAUSE OF THE CHRISTIAN DOCTRINE OF THE TRINITY OF THREE different gods, AND NOT ONE GOD. It is written throughout The Bible that there is Only One GOD and no others. And The Bible teachers should know that there is only One GOD and none else. IT IS SAID BY GOD IN THE FIRST COMMANDMENT OF THE TEN COMMANDMENTS, YOU SHALL HAVE NO other gods BEFORE ME. Because Christianity and certain Messianic Congregations have abolished The Law of Moses written in the first five Books of The Bible, or have made The Law of Moses optional, they have put their membership in grave danger with GOD. SOME MIGHT POINT TO THE HEBREW WORD ELOHIM. ELOHIM, THE HEBREW WORD FOR GOD ALMIGHTY, MEANS, GODS. YET GOD SAYS, THERE IS ONLY ONE GOD. But GOD refers to Himself in Tnach, The Old Testament Scriptures some 3,000 times by The Hebrew Word ELOHIM, meaning, GODS. GENESIS 1.1 IN THE BEGINNING, ELOHIM (GODS) CREATED THE HEAVENS AND THE EARTH. GENESIS 1.26 AND ELOHIM (GODS) SAID, LET “US” MAKE MAN IN “OUR” IMAGE AFTER “OUR” LIKENESS. YET THERE IS ONLY ONE GOD AND NO OTHERS. LET’S CONSIDER THE WORDS OF ISAIAH 55.8-9. EVERYTHING ABOUT GOD IS MUCH GREATER THAN MAN. There is only One GOD and no others. In fact, GOD says, if you serve other gods, and never repent of serving other gods, GOD will kill you. YET GOD REFERS TO HIMSELF IN THE OLD TESTAMENT IN HEBREW AS ELOHIM, GODS, SOME 3000 TIMES. WHY? LET’S START WITH MESSIAH YESHUA WHO IS THE MIGHTY GOD, THE EVERLASTING FATHER AS PROPHESIED BY THE PROPHET ISAIAH SOME 700 YEARS BEFORE THE BIRTH OF MESSIAH YESHUA. AND SINCE MESSIAH YESHUA IS THE MIGHTY GOD, THE EVERLASTING FATHER, THE JEWISH MESSIAH YESHUA IS GOD ALMIGHTY, THE ONE AND ONLY GOD, HA SHEM ELOHIM. AND YET MESSIAH WAS IN ISRAEL 2,000 YEARS AGO WITH HIS JEWISH PEOPLE FOR SOME THIRTY YEARS. AND HE SPOKE TO THE FATHER IN HEAVEN OFTEN. YET THERE IS ONLY ONE GOD AND NO OTHERS. IT IS WRITTEN. AND MESSIAH HIMSELF CONFIRMS THAT HE IS GOD THE FATHER IN JOHN 10.30, JOHN 12.44-45 AND JOHN 14.9. GOD ALSO SAYS, NO ONE CAN HIDE HIMSELF IN SECRET PLACES THAT HE SHALL NOT SEE HIM. BECAUSE THE SPIRIT OF GOD FILLS THE HEAVENS AND THE EARTH. AND THE SPIRIT OF GOD IS IN EVERYONE. GOD ALMIGHTY, THE SPIRIT OF GOD IS EVERYWHERE. JEREMIAH 23.24. GOD, IN HUMAN FORM, VISITED ABRAHAM, ISAAC, JACOB, MOSES AND OTHERS NUMEROUS TIMES. THEY SPOKE FACE TO FACE. MESSIAH YESHUA WHO IS GOD ALMIGHTY WAS IN ISRAEL WITH HIS PEOPLE FOR THIRTY YEARS. AND GOD IS ALWAYS IN HEAVEN. YET THERE IS ONLY ONE GOD. BECAUSE GOD CAN BE IN MILLIONS OF DIFFERENT PLACES AT THE SAME TIME. LISTEN, GOD ALMIGHTY, THE ONE AND ONLY GOD IS THE FATHER, THE SON THE MESSIAH YESHUA, THE SPIRIT, THE HOLY SPIRIT, MELCHIZEDEK, THE GLORY OF GOD, THE POWER. HE IS THE HURRICANES, THE THUNDERSTORMS, THE TORNADOES, THE WIND STORMS. GOD IS THE LIFE AND BREATH OF EVERY LIVING HUMAN BEING. GOD IS THE LIFE AND BREATH OF EVERY LIVING ANIMAL, FISH, INSECT AND EVERYTHING ELSE THAT HAS LIFE. GOD IS THE LIFE OF EVERY LIVING PLANT, FLOWER, TREE, AND THE GRASS. GOD IS THE LIFE OF EVERY LIVING THING. COLOSSIANS 1.15 BETTER TRANSLATED, WHO IS GOD. GOD IS UNSEARCHABLE. THE SECRET THINGS BELONG TO THE LORD OUR GOD. GOD IS EVERYWHERE. NO ONE CAN HIDE FROM GOD. WE CAN NOT HIDE OUR WAYS FROM GOD, NOR CAN WE HIDE OUR THOUGHTS FROM GOD. FOR GOD IS YOUR LIFE AND YOUR BREATH. THE SPIRIT OF GOD ALMIGHTY IS IN YOU. HE KEEPS YOU ALIVE. HE DIRECTS YOUR LIFE. THEREFORE GOD CALLS HIMSELF ELOHIM, GODS, BECAUSE OF THE GREATNESS OF HIS BEING THAT IS BEYOND COMPREHENSION. AND SINCE GOD ALMIGHTY SAYS THERE IS ONLY ONE GOD AND NO OTHERS, I WOULD CERTAINLY ADHERE TO WHAT GOD SAYS RATHER THAN THE FALSE WORDS OF FALSE PROPHETS AND FALSE TEACHERS. AND THEN FIGURE IT OUT. IT IS NOT DIFFICULT ONCE YOU ACCEPT GOD’S TEACHING THAT THERE IS ONLY ONE GOD AND NO OTHERS. Nothing from those who serve other gods shall stick to your hand, that The LORD may turn from the fierceness of His anger, and show you mercy, and have compassion upon you, and multiply you, as He has sworn to your fathers. When you Obey The Voice of The LORD Your GOD, to Obey all His Commandments that GOD Commands you this day, to do that which is Right in The Eyes of The LORD Your GOD by doing what GOD says in The Bible. When GOD chose The Jewish People to be His Chosen People, to be His Witnesses to the world, GOD said, For you are a Holy People unto The LORD Your GOD. The LORD Your GOD has chosen you to be a Special People to Himself above all the people that are upon the face of the earth. But because The LORD loved you, and because He would keep the oath which He had sworn to your fathers, has The LORD brought you out with a Mighty Hand, and Redeemed you out of the house of slavery from the hand of Pharaoh king of Egypt. KNOW THEREFORE, GOD SAYS, THAT THE LORD YOUR GOD, HE IS GOD, THE FAITHFUL GOD WHO KEEPS COVENANT AND MERCY WITH “THEM” WHO LOVE HIM AND KEEP HIS COMMANDMENTS TO A THOUSAND GENERATIONS. THAT IS FOREVER. THAT IS, DO WHAT GOD SAYS IN THE BIBLE. THAT INCLUDES FAITH IN THE MESSIAH YESHUA FOR YOUR ATONEMENT. AND BELIEVE IN ONE GOD AND NO others. THEN YOU ARE CHOSEN BY GOD TO BE FULLY PART OF GOD’S CHOSEN PEOPLE, THE JEWISH PEOPLE. YOU WILL SPEND YOUR LIFE ON EARTH, AND ETERNAL LIFE IN HEAVEN WITH THE LORD YOUR GOD, GOD ALMIGHTY, HA SHEM ELOHIM, THE MESSIAH YESHUA FOREVER. STAY AWAY FROM FALSE gods. KEEP YOURSELVES FROM THE TRINITY. Posted on September 9, 2018 September 11, 2018 Categories Shabbat MessageLeave a comment on THE FIERCENESS OF GOD’S ANGER IS UPON THOSE WHO SERVE other gods SUCH AS THE TRINITY OF THREE different gods. THE TRINITY, TRUE OR FALSE? Our teaching will continue from Torah, The Law of Moses, in The Hebrew Bible from Deuteronomy 13.2-12, and in The Christian Bible from Deuteronomy 13.1-11. AND THE TITLE OF OUR MESSAGE IS, THE TRINITY, TRUE OR FALSE? And with that said, let’s read in The Hebrew Bible Deuteronomy 13.2-12, and in The Christian Bible Deuteronomy 13.1-11. If there arise among you a prophet, or a dreamer of dreams, and gives you a sign or a wonder, and the sign or the wonder comes to pass of what he spoke to you, saying, Let us go after other gods which you have not known, and let us serve them, you shall not pay attention to that person, and you shall not obey the words of that prophet, or that dreamer of dreams. For The LORD Your GOD tests you to know whether you love The LORD Your GOD with all your heart and with all your soul. Quite frankly, I never heard of the trinity until well after I came to faith in Messiah Yeshua, The Jewish Messiah. And that was some thirty eight years ago. And when I heard the word trinity, I thought the trinity meant that GOD ALMIGHTY IS THE FATHER, THE SON AND THE HOLY SPIRIT. All being One and The Same GOD. And I thought that Christianity believed in One GOD and no others. How wrong I was. When the truth of the trinity was revealed to me many years later when I read about it in a Christian Bible Dictionary, I was shocked. MOST CHRISTIANS, THOSE WHO BELIEVE IN THE TRINITY, BELIEVE IN THREE DIFFERENT gods. THEY BELIEVE THAT THE FATHER IS a god, JESUS CHRIST IS another god, AND THE SPIRIT IS YET another god. And I was even more shocked when I found out that many Messianic Jews convert to believe in the trinity of three different gods. I will bet that before they became Messianic they believed in Only One GOD and no others. And then they sat under the false teaching of the trinity and received it. How very sad. The doctrine of the trinity is described this way. It is clearly implicit in that Scripture testifies to the full and real deity of the father, the son, and the spirit, while maintaining a distinction of persons. A Distinction of persons means, A difference of persons, or a difference in gods. THEREFORE THE TRINITY IS THE BELIEF IN THREE DIFFERENT gods. AND THEREFORE THE TRINITY IS FALSE AND DANGEROUS. THE TRINITY IS SERVING OTHER gods. AND THE TRINITY IS PAGAN AND POLYTHEISTIC. THE BELIEF IN MANY gods. And the trinity contradicts itself. First it says that the trinity is ONE GOD but three different gods. Either there is One GOD or three different gods. THE TRINITY TEACHES THREE DIFFERENT gods. Trinity believers believe in other gods because trinity believers are firm in their belief that Jesus is “not” The Father even though Jesus Himself says He is The Father. And Old Testament Prophesy confirms that Jesus is The Father. Here is how Christian doctrine describes Christ or Messiah. Keep in mind that The Jesus Christ of The Bible is not only The Jewish Messiah, Christ is also The Mighty GOD, The Everlasting Father. Christian doctrine describes Jesus as The Son of GOD. TRUE. Christian doctrine also describes Jesus as very God, of very GOD. FALSE. FALSE BECAUSE JESUS IS NOT OF GOD, JESUS IS GOD. GOD ALMIGHTY IS JESUS. THE ONE AND ONLY GOD. Christian doctrine also describes Jesus as being of the same substance with The Father and The Holy Spirit, and equal in power and glory. FALSE. FALSE because The Jesus of The Bible is not of the same substance with The Father, and The Holy Spirit. THE JESUS OF THE BIBLE IS THE FATHER, AND THE HOLY SPIRIT. AND THE JESUS OF THE BIBLE IS NOT EQUAL IN POWER AND GLORY WITH THE FATHER BECAUSE THE JESUS OF THE BIBLE IS THE FATHER. Christian doctrine teaches that everything that can be said of The Father and The Holy Spirit can be said of The Son. That the son is the creator even as The Father and The Holy Spirit are the creators. Thus three different gods, three different creators. FALSE. FALSE BECAUSE THERE IS ONLY ONE GOD AND NO OTHERS. AND GOD ALMIGHTY IS MESSIAH YESHUA, THE ONE GOD. Christian doctrine visualizes three gods getting together and creating The Heavens and the earth. And that too is FALSE AND FOOLISH. THE BIBLE TEACHES THAT THERE IS ONLY ONE CREATOR, GOD ALMIGHTY, WHOSE HEBREW TITLE AND NAME IS MESSIAH YESHUA. Christian doctrine teaches that three different gods, the father, the son and the spirit do certain things together like creating The Heavens and the earth, upholding and sustaining all things. And Jesus and the Father are both redeemers. FALSE. FALSE BECAUSE THE BIBLE TEACHES THAT THERE IS ONLY ONE GOD AND NO OTHERS. And Christian doctrine teaches deceitfully that they give Biblical proofs of the deity of the second person of the godhead, Jesus Christ by certain statements in Scripture. The Godhead is The Being or Nature of GOD. Christian doctrine teaches that Scripture states that Jesus is Immanuel, or GOD with Us. That Jesus claimed to be able to forgive sins, which is the exclusive right of GOD alone. That Jesus healed the sick, and raised the dead. That Jesus controlled nature by stilling the waves. And He acted creatively in multiplying the loaves and fishes. And He claimed to be GOD. THAT IS ALL TRUE WHEN YOU KNOW AND BELIEVE THAT THE JESUS OF THE BIBLE IS GOD ALMIGHTY. CHRISTIAN DOCTRINE TEACHES THAT JESUS WAS PRE-EXISTENT WITH GOD, AND ONE IN ESSENCE, OR ONE IN NATURE WITH GOD. THAT IS FALSE BECAUSE THE JESUS OF THE BIBLE WAS NOT WITH GOD, HE IS GOD. HE IS GOD ALMIGHTY. Then I read Christian philosophical and theological proofs of the trinity. Christian doctrine teaches that if we are to have a GOD Who is infinite in His Person, and in His relationships, this GOD must be triune in nature. FALSE. Any view, Christianity says, such as the Muslim faith, Judaism, Jehovah’s witnesses that state there is only one person in the Godhead proves inadequate. FALSE. GOD TEACHES FROM GENESIS THROUGH REVELATION THAT THERE IS ONLY ONE GOD AND NO OTHERS. AND THAT GOD THE SAVIOR IS GOD ALMIGHTY WHO IS MESSIAH YESHUA. HOW COULD CHRISTIANITY GET IT SO WRONG? The reason Jesus was and is able to do all those miracles is because JESUS, YESHUA THE MESSIAH IS GOD ALMIGHTY. NOT SOME other god. IT MAY APPEAR IN THE BIBLE THAT THERE ARE THREE DIFFERENT GODS. THE FATHER IS HERE, THE SON IS THERE AND THE SPIRIT IS SOMEWHERE ELSE. BUT ALL THREE ARE GOD ALMIGHTY. ONE AND THE SAME GOD. GOD IS IN A MILLION DIFFERENT PLACES AT THE SAME TIME. NOTHING IS IMPOSSIBLE WITH GOD BECAUSE GOD IS GOD. GOD ALONE IS THE FATHER, THE SON, THE MESSIAH, THE SPIRIT, THE HOLY SPIRIT, MELCHIZEDEK, THE GLORY OF GOD, THE POWER, AT TIMES THE ANGEL OF GOD, AND THE ANGEL OF THE LORD, OUR BREATH, OUR LIFE, THE AIR WE BREATHE, THE WIND, THE STORMS, AND SO VERY MUCH MORE. THERE IS ONLY ONE GOD AND NO OTHERS. AND HE IS MESSIAH YESHUA, HA SHEM ELOHIM, GOD ALMIGHTY. Let’s look at our study verses and read what GOD Commands us about not going after other gods and serving them. And what GOD will do to those who do not repent but continue going after other gods and serve them. Never believe that there is more than One GOD. Never believe in the trinity. GOD SAYS THAT HE TESTS YOU TO KNOW WHETHER YOU LOVE THE LORD YOUR GOD WITH ALL YOUR HEART AND WITH ALL YOUR SOUL. IF YOU BELIEVE IN THE TRINITY, YOU GO AFTER other gods AND SERVE them. THEREFORE THE LORD SAYS, YOU DO NOT LOVE THE LORD YOUR GOD WITH ALL YOUR HEART AND WITH ALL YOUR SOUL. GOD says, Perhaps the person telling you the lie of the trinity predicts that some miracle will happen, and it happens. GOD says, He is testing you to see whether you love The LORD Your GOD with all your heart, and with all your soul. BELIEVERS IN THE TRINITY FAIL GOD’S TEST. GOD says, You shall walk after The LORD Your GOD and Fear Him, and Keep His Commandments, and Obey His Voice, and you shall Serve Him and Cleave to Him. But Christianity has decided that the Jesus of the trinity has abolished all GOD’S Commandments that are all GOD’S Laws Written in The Law of Moses for all the world to obey. The Jesus of The Bible would never do that because He is GOD ALMIGHTY. GOD HAS A JUDGMENT FOR THOSE WHO FOLLOW THE TRINITY, WHO FOLLOW other gods, AND SERVE them, and WILL NOT REPENT BIBLICLY. AND THAT JUDGMENT IS DEATH. AGAIN, GOD HAS A JUDGMENT EVEN FOR YOUR BROTHER, OR YOUR SON, OR YOUR DAUGHTER OR YOUR WIFE, OR YOUR FRIEND WHO ENTICES YOU, SAYING, LET US GO AND SERVE other gods WHICH YOU HAVE NOT KNOWN, YOU NOR YOUR FATHERS. NAMELY, the gods OF THE PEOPLE WHICH ARE ROUND ABOUT YOU, NEAR TO YOU, OR FAR OFF FROM YOU, FROM THE ONE END OF THE EARTH, EVEN TO THE OTHER END OF THE EARTH. YOU SHALL NOT AGREE WITH THEM, NOR DO WHAT THEY SAY, NOR PITY THEM, NOR SPARE THEM, NOR HIDE THEM, BUT YOU SHALL KILL HIM. YES, OF COURSE, TODAY THAT IS MURDER. BUT IF THE TRINITY BELIEVER DOES NOT REJECT THE TRINITY AND CONTINUES TO FOLLOW THREE DIFFERENT gods, GOD WILL HANDLE IT HIMSELF. BECAUSE THE DOCTRINE OF THE TRINITY IS WICKEDNESS IN THE EYES OF THE LORD. We have been teaching about The Kingdom of GOD for the past few weeks. And all the nations of the world, including Israel, and the United States, are part of The Kingdom of GOD. And GOD is The King and Ruler over all the nations and over every human being in the nations. AND ONE OF GOD’S LAWS AND RULES IS, YOU SHALL HAVE NO other gods BEFORE HIM. THE TRINITY IS FALSE DOCTRINE AND VERY, VERY DANGEROUS. THE TRINITY RESULTS IN ETERNAL DEATH. Posted on September 2, 2018 September 2, 2018 Categories Shabbat MessageLeave a comment on THE TRINITY, TRUE OR FALSE?